Traditionally, makers overbuild waterproof hiking boots with long-lasting rubber soles, which add heft, and toothy lugs that might not grip when you need it most—on slippery trails. 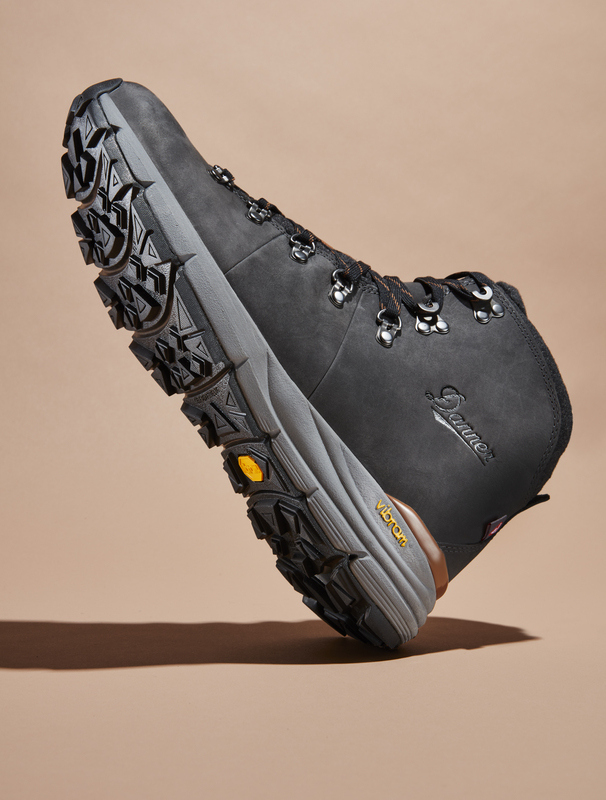 The Danner Mountain 600 Weatherized does more with less: Its Vibram soles shed weight by paring synthetic rubber and barely there foam with a lug pattern that adapts to the trail, increasing your bite on wet, craggy terrain. Making a leather boot that keeps you dry requires more engineering than spraying on a water repellent. This leather is stitched with minimal seams as the first defense against liquid infiltration. A breathable, waterproof membrane around your sock prevents moisture from getting in while venting sweat out. Between these two, Danner uses 200 grams of PrimaLoft insulation, which won’t sog out if it gets wet. The midsole is the unsung hero of comfortable boots. Typically, long- lasting polyurethane is the go-to as it provides flexibility and cushion—but it adds weight. Danner uses Vibram’s first-ever blend of synthetic rubber, cut with airy ethylene-vinyl acetate (EVA), to shave off about 22 ounces compared with a pair of classic boots. The combination is the best of both: It’s flexible and resists compression, while cushioning without the heft. To ensure that the boot bites on wet trails, dewy grass, and crumbly rocks, Vibram ditched uniformly shaped treads for diamond-shaped lugs at staggered heights. Within each tooth are smaller inner nubs, which move independently, giving you more grip and confidence.